The Word of God often speaks of the "light" that comes from knowing Christ, as compared with the darkness of a fallen world. For 125 years, Alabama Baptist Children's Homes (ABCH) has existed to protect, nurture, and restore children and families through Christ-centered services. Our vision is to see hope and wholeness for children and families through knowing God. All through our anniversary year, we will be sharing stories of "light"—stories of lives changed because of the "little light" shared with a child by a parent, a social worker, a counselor, or another through our ministry. 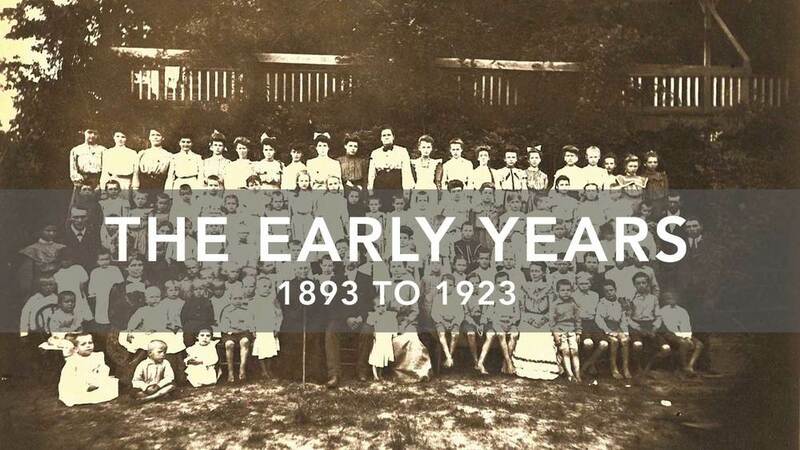 Our history is one of brightly shining the light of Christ into the lives of children, and as we move into the next 125 years, that mission will remain. Take a virtual stroll through our ministry by either clicking on a photo below, selecting an era from the "TIMELINE" navigation above, or select "BEGIN TIMELINE" below. We hope you'll learn something new and be encouraged in your own journey!